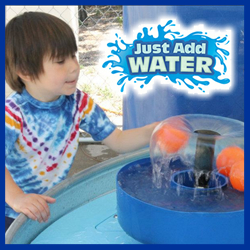 Explore the wonders of Water this summer at the Just Add Water exhibit at the Denver Children’s Museum. This interactive fun time is made up of experiments and swirling whirling splash pools, fountains, geysers, and more. The highly unpredictable attributes of water both teach kids and let them have a great “cool” experience at the same time. The Childrens Museum of Denver Just Add Water experience opens June 15th and runs throughout the summer season. 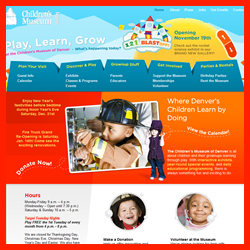 Tags: Calendar for the Childrens Museum of Denver, Childrens Museum Denver, Denver CO Childrens Museum, Denver Colorado Kids Museum Information, Denver My Childs Museum Dates, Events at the Denver Childrens Museum, Just Add Water at the Childrens Museum, Kids Museum Denver, Kids Museum Denver CO, My Childs Museum, My Childs Museum Denver, Water Exhibit Childrens Museum, Where is the Denver Childrens Museum?